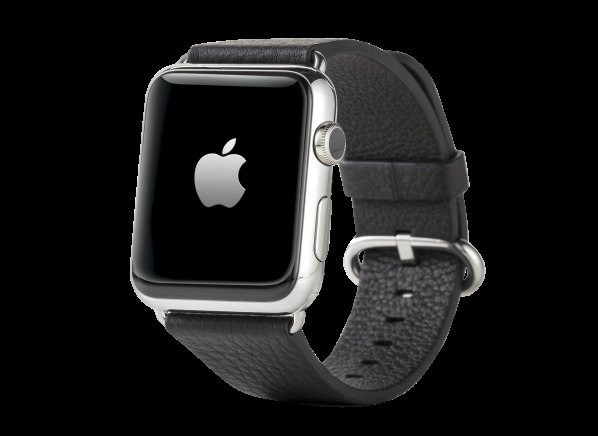 The Apple Watch (38mm) is part of the Smartwatch test program at Consumer Reports. In our lab tests, Smartwatch models like the Watch (38mm) are rated on multiple criteria, such as those listed below. Ease of use: Considers how easy it is to access core device functions and perform key tasks, such as accessing messages, calendars and alarms, and app notifications, as well as pair the smartwatch with another device for the first time. Display performance under various lighting conditions also factors into this score. Ease of interaction: An evaluation of the steps necessary to access core device functions and perform key tasks, such as accessing messages, calendars and alarms, and app notifications. Ease of pairing: An assessment of the steps necessary for pairing the smartwatch with another device for the first time. Diameter (in.) Diameter The diameter of the case, measured to nearest tenth of an inch. Display size (in.) Display size Size of the active screen, to the nearest tenth of an inch. Weight (oz.) Weight Weight of watch in ounces. Thickness (in.) Thickness Thickness of the watch measured to the nearest tenth of an inch. Case material Case material Primary material used to manufacture the case, excluding the display. Crystal type Crystal type The material used to protect the display. Often it’s made of a mineral such as sapphire or quartz, or other materials such as glass or plastic. Depth and duration (ft., min.) Depth and duration How resistant the watch is to submersion in water, as tested by subjecting the device to a water pressure equivalent to the depth the manufacturer claims the smartwatch can withstand. Heart-rate monitor Heart-rate monitor Indicates what type of heart-rate monitor is used, if at all. The two main types are active and stationary. Stationary heart-rate monitors measure your pulse only at intervals you choose, mostly at rest. Active heart-rate monitors measure your pulse continuously, or automatically at variable intervals. Phone compatibility Phone compatibility Indicates which phones, either specific models or the operating system they use that works with the watch. Battery life (claimed) Battery life Claimed number days, often a range, manufacturer says the watch will function on a charge. Touch screen Touch screen Indicates whether the watch can be controlled by touching its display. Display type Display type Technology used by the display, such as OLED, AMOLED, Super AMOLED, LCD, or e-paper. NFC NFC A short-range wireless technology that triggers a transaction between the watch and another device, usually by bumping them together. On smartwatches, it’s most often used to initiate the pairing sequence with a new phone or tablet to authorize payments at a retailer’s pay terminal. WiFi WiFi A long-range wireless communication technology that enables a smartwatch to pair with a smartphone and with other devices within a home network or remote location via the Internet. Cellular Cellular Has the ability to connect to a cellular network without a smartphone.